At Brimstones & Treacle, we take time to look at materials, processes and technologies to understand why and how they are harnessed in particular ways by designers, but more importantly to understand the values that we place on them, not only in their visual and tactile properties but also the cultural associations they hold. 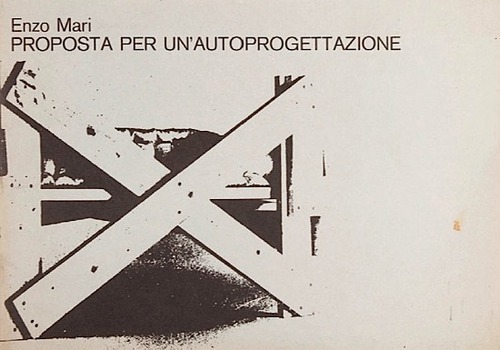 An icon of this approach is the theoretician Enzo Mari who came to design via the world of art as a fervent critic of Consumerism. As an ideological contributor to the debates surrounding design for the last fifty years he has become renowned for his mantra, “Good design for everybody at affordable prices’. Central to Mari’s beliefs is that design, rather than simply being an expression of others values should develop its own ideology. Much of his work can be considered from this viewpoint, as a sort of critical design exercise where understanding is reached through experiment that can be best described as ‘Thinking through Making’. All designers necessarily have a relationship with materials, in order to learn and illustrate their qualities, but Mari made efforts to deepen this relationship further by conducting series of projects from the 1950s onwards to make objects from a single material or process. 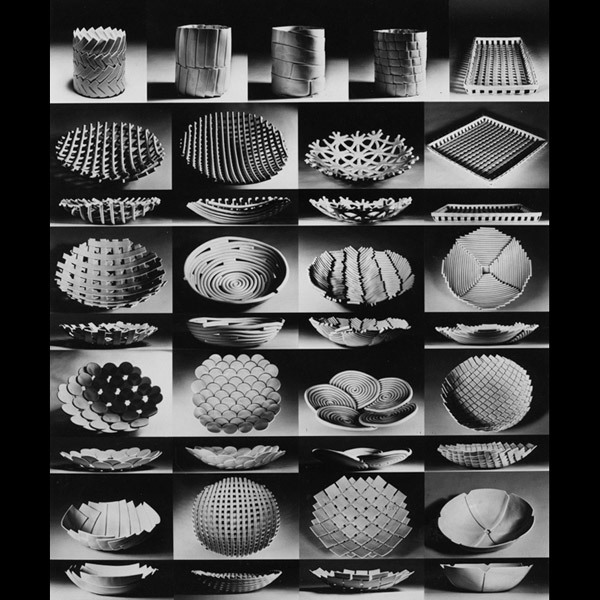 In the early 1970s with his work Proposta per la lavorazione a mano della porcellana, Mari was motivated to develop a range of designs reflecting on the nature of repetitive work whether ‘craft’ or ‘industry’ that gave rise to a series of objects entitled ‘Samos’ that could be reinterpreted in intelligent variations in mass production. 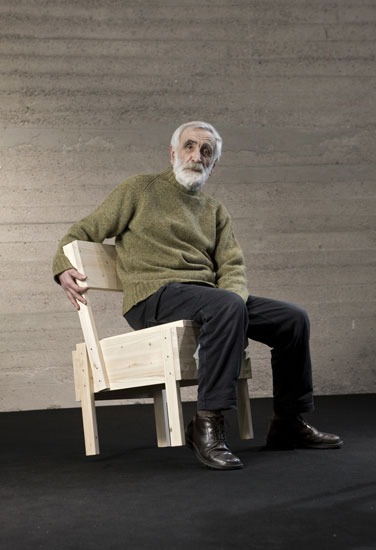 In another 1970s project which we find intriguing, Autoprogettazione (translated as “self design”) he used planks of timber in standard sizes available at hardware stores to construct them into items of furniture for the home. This project marked a move away from the over reliance on industrial production using plastics that dominated furniture design of the period, which had spiralled in cost as a consequence of the Oil Crisis. Having a resemblance to Russian Constructivist Architecture these highly sculptural pieces were designed to be non-elitist. In their construction nothing was hidden and the structures are direct and honest giving a clear description of how they are assembled and function. The concern of this project was in many ways, a frustrated gesture against consumer culture that prompted Mari to make models and publish plans of how to make them in a book so that everyone could have the essential construction data. Adopting this strategy of using a single material in isolation to provide a quick and intuitive investigation for Mari proved a great success, as he received more than 3,000 enquiries from Italy and the US for his plans. 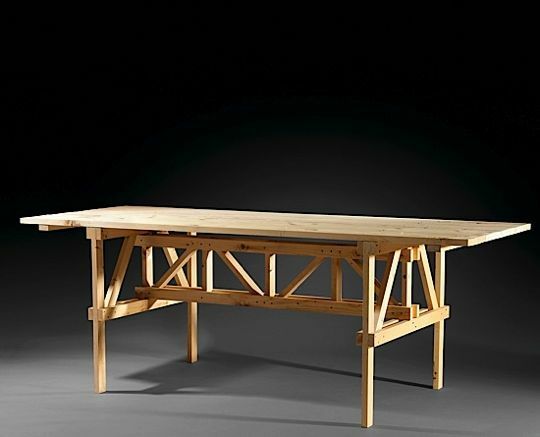 The underlying ideology behind this work was explicit, being both politically and socially motivated he proposed a kind of anti industrial design. 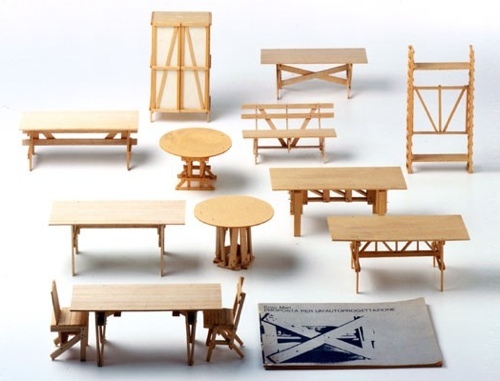 By issuing to the public his executive drawings and plans for furniture using modular boards of timber to be assembled by nailing together, Mari offered this as a“give away” project stating ‘anyone, except for industry and dealers, can use these drawings to make them personally’.